This is a multipurpose potting and germination mix for home use. For flowers, including: chrysanthemums, pelargoniums, viola, primula, antirrhinum, surfinia, petunia, begonia, red hydrangea, calanchoe. For Herbs: basil, oregano, thyme etc. After 3-4 weeks from the start of use additional fertilization should begin. 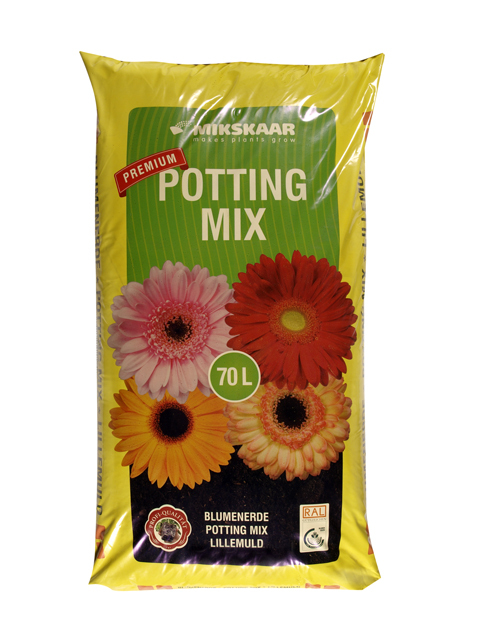 Mikskaar Potting mix makes your plants grow better!